We started out as an agency developing websites. So today we can utilize over 10 years of experience. Because your website should adapt to you, not the other way around. Detailed preparation ensures that your website won’t only be visually appealing, but actually practical. Fulfilling all the required features. We’ll prepare a detailed model of the site so that you can clearly see the structure. Afterwards the graphics will be layered on to the framework. Custom-made solutions require clean and reliable code, which can be easily expanded while withstanding lots of pressure. 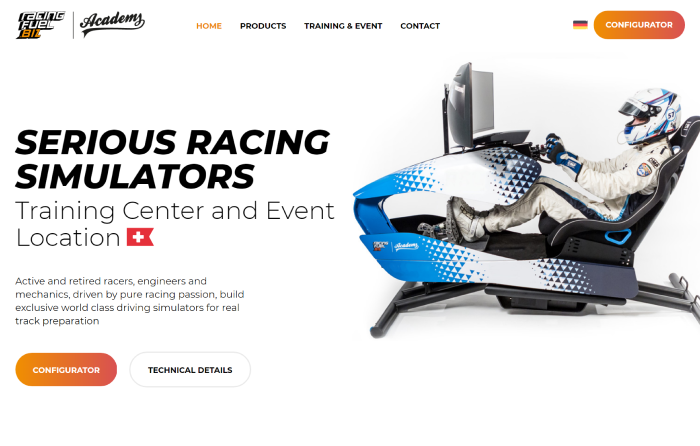 Swiss producer of racing simulators requested a complete solution. We’ve developed a modernized web, which included simulator configurations and a booking system. If you’re a dental technician or you own a dental lab, you should definitely visit this website and try out our app for managing a dental lab. 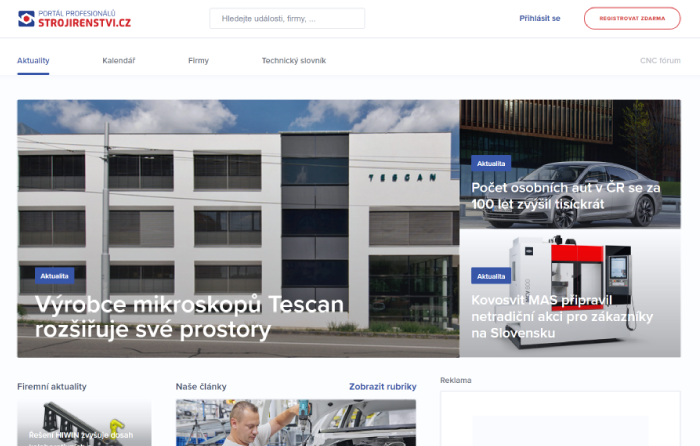 The largest engineering portal in the Czech Republic, with fully digitized engineering tables, is also from our workshop.